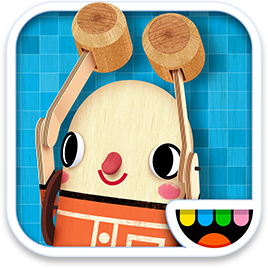 Toca Builders promotes a new way of creating and crafting things with blocks, that encourages both creativity and curiosity. With simple touch gestures and unique controls the builders come alive and help create a world only you can dream up! • Build whatever you want – drop, spray, lift and smash!